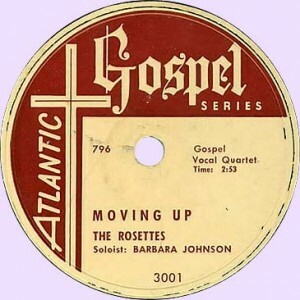 Released in April of 1952, as part of Atlantic Records Gospel Series. Unfortunately, that only lasted for nine releases before being discontinued due to lack of sales. Sister Rosetta Tharpe was a part of this group, but had already parted ways with The Rosettes by the time they started recording these sides for Atlantic.